Photos and research by Connie Pickering Stover, 1971. 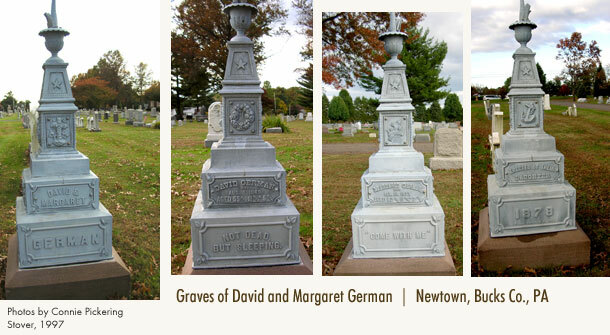 Recorded on headstone: David German died at 55 years, 11 mos. 5 days. Margaret German died at 82 years, 11 mos. 2 days.